Lately a lot of mainstream media has covered the health warning that Nintendo has issued for its upcoming 3DS console, looking for sensation, due to the fact that it features an autostereoscopic 3D display and can display games in stereo 3D mode. That health warning is recommending that children aged six and under should not play games in stereo 3D mode for long time in order to prevent possible damage to their vision. The problem is that general media is twisting a bit the story to make it sound like stereo 3D content will damage the eyes of young children should they watch any S3D content if they are 6 years old or younger. As Nintendo continues to explain, according to specialists watching whatever stereoscopic 3D content for long periods of time (not only on their upcoming console) can affect the development of young children’s vision. What they are missing however is the fact that the binocular vision is developed in children up to the age of three, again according to specialists, so after that watching stereo 3D content should not be affecting something that has already developed. On the other hand some people are saying that watching stereoscopic 3D content can even help resolve some eye disorders that small children may have such as a lazy eye (Amblyopia) and others that affect the normal binocular vision not only of children, but even some for adults as well. The problem is that since the stereo 3D technology has boomed quite fast in the last 2-3 years, there is still not a lot of research being done on the short and especially long terms effects on the normal vision – either positive or negative. So it is hard to say for sure if a 6 year old child, playing the Nintendo 3DS in 3D mode can get his vision damaged from that or not, although there shouldn’t be any permanent changes to the vision after it has been fully developed at around the age of 3. But just playing it safe Nintendo has issued this warning for an age of 6, and at the same time also allowing the parents to turn off the 3D functionality of the autostereoscopic 3D display and lock it using a PIN code thanks to the built in parental control function of the game. I’m pretty sure that Nintendo just doesn’t want to be blamed and even sued by angry parents that may blame the console for any possible issues with the vision of their kids. The truth is that if you let your 3 year old kid play even non-stereo 3D game (there are a lot of games rated 3+) or for that matter watch TV for lets say 2-3 hours a day or even more, then the chances are that his or hers vision may also be negatively affected are quite high. So should you be getting a 3DS to your 6 years old or younger child is the question that parents should ask themselves, even before thinking about the 3D mode the console supports. Aside from vision that should be developed by the age of 3, there are a lot of other things that are still developing in your child up to the age of 6 and even after that, things like motor skills, sensory and thinking skills, social skills, language learning etc. Should you as a parent be sacrificing the development these important skills in your kids in order to get them a trendy gadget no matter if it is in 3D or not and letting them play for hours uncontrolled? Of course there are games that may help in the development of these important skills in your children, if you manage to get their attention kept long enough at them, instead of some other more interesting games. So next time, before blaming it all on the 3D, think again if you may doing anything wrong first and do take Nintendo’s advice about the 6 years not only for the development of your kids vision, but also for their general development. 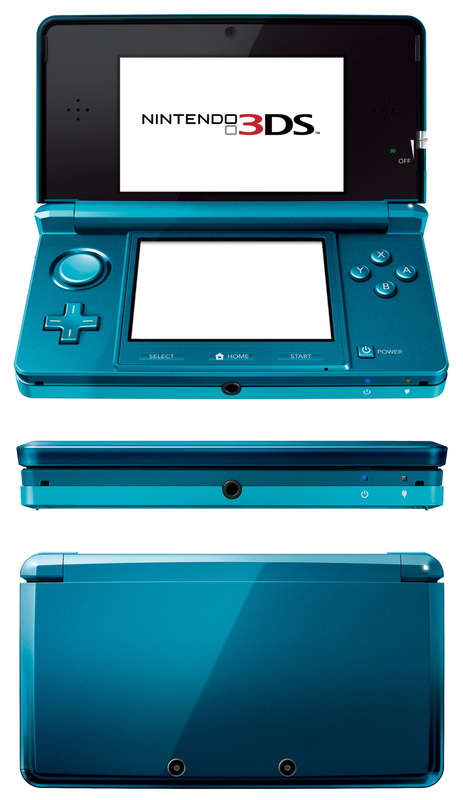 Also think again if you should be buying a Nintendo 3DS, because your kids may actually want one or because it is you who want to try out the stereo 3D effect in games that the 3DS will offer.